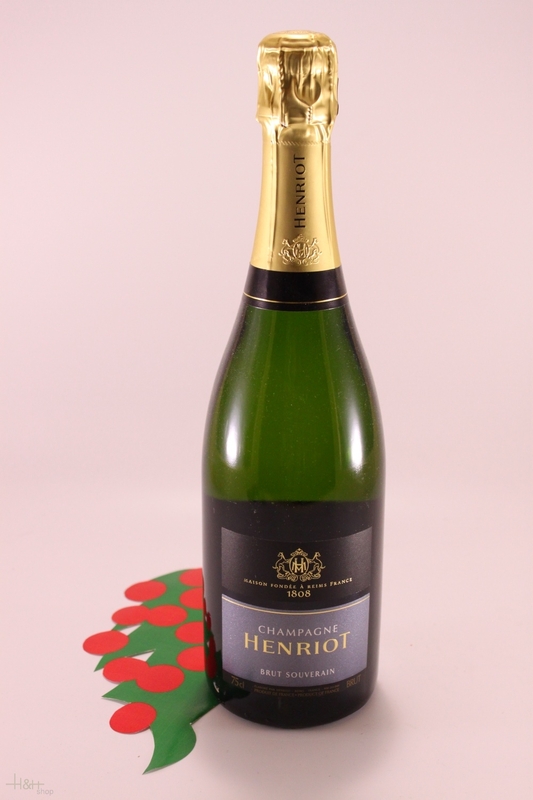 Symbol of the precise, elegant style of Champagne Henriot's wines, Brut Souverain appeals with its nose of white flower and citrus fruit notes, then with a balanced, harmonious palate. An ideal partner for aperitif. Brut Souverain is made up of a balanced proportion of Chardonnay, in the majority the Côte des Blancs, and Pinot Noir, mostly the Montagne de Reims. Pinot Meunier adds a delicate fruity note. Brut Souverain is composed of 20% reserve wines*. More than 25 crus are assembled, including the following village crus: Mesnil sur Oger, Oger, Avize, Cramant, Chouilly, Aÿ, Verzy, Verzenay, Beaumont, Sillery, Mailly Champagne. The composition of Brut Souverain changes year to year to take account of climate variations and to perpetuate House style. On the eye: The colour is characterised by a brilliant light straw-gold. Effervescence is dense and persistent, with fine, regular bubbles. On the nose: Initially the nose is precise, expressive and refreshing, with notes of citrus and yellow fruit; floral fragrances (vine flowers, elderflowers) and pastry aromas (brioche, toast, grilled almond) follow. On the palate: A lively, fresh and balanced attack, with pastry, spice (vanilla) and fruity (morello cherry, candied plum) notes. The full texture precedes a clean, refreshing finish marked by citrus fruit aromas. Buy now this product together with Papis Loveday Brut 12,00 % 0.75 l.
Papis Loveday Brut 12,00 % 0.75 l.
ready for shipment: in stock Papis Loveday Brut 12,00 % 0.75 l.